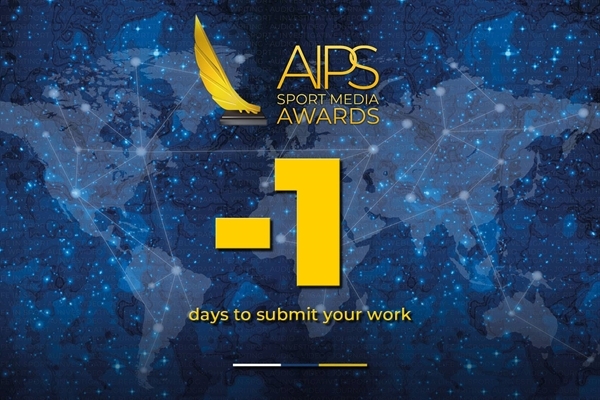 Last call, last chance to submit your work for the AIPS Sport Media Awards. Don't miss out! The final day has arrived. Only 24 hours to submit your work for the first edition of the AIPS Sport Media Awards. A true celebration of our profession, the Awards have been embraced by colleagues from all over the world, thanks to the unique network of AIPS and its 161 associations. Promotion took also a big credit, with AIPS staff being present in main sporting events in Asia, Africa, Europe and South America. We have received submissions from 113 different countries, from well-known media outlets, TV channels, newspapers and international magazines, to niche websites, local radios and small independent publications. This is exactly what we were hoping. A chance to unite the best sport storytellers across all platforms, without borders. The finalists across all categories will be invited to Lausanne, Switzerland, in January 2019. Winners will take US$ 8,000 each. As we now enter the final 24 hours, we still hope if you have not submitted, find your most representative work from July 1, 2017, to September 17, 2018, register in www.aipsawards.com and upload it. Do it now before it's too late. By Saturday, September 22, at 18:00 Central European Time, submissions will be closed. Do not wait another year to be part of the biggest celebration in the sport media industry.